We’re spoilt for choice when it comes to castles and historic places to visit around Moray and Aberdeenshire! Just click on the name of the location to go to their website. Ballindalloch is one of the most beautiful and renowned castles in Scotland. Known as the Pearl of the North, it is located in the heart of Speyside, near to the famed whisky distilleries of Glenfiddich, Glenfarclas and Glenlivet. Surrounded by majestic hills, and with the tumbling waters of the Rivers Spey and Avon flowing through the grounds, the setting is truly magnificent. Having been badly damaged by fire in 1645, the castle was later rebuilt. The lime-harled building is a typical Z plan tower house with ornate corbelled battlements and bartizans. If you know where to look, you can see cannon drain spouts and a sun dial built into the side of the keep. Today you can visit in the interior with its unusual plaster ceilings and see French furniture, paintings, European and Chinese porcelain, Japanese artefacts, toys and much, much more. There are many rooms open to visit on several floors so you need to allow a good hour to look around everything. If you are interested in furnished interiors (as opposed to old castle ruins) then you will certainly enjoy your visit. At the end of your tour, don’t forget to carry on through the tea room to the old kitchen and then when you exit the gift shop, the old dairy is outside to your left. There’s also a picnic area, tea room and gift shop, adventure playground with timber fort for the kids, woodland walks, gardens and a lake. If you have chance to visit during the Spring, the famous collection of daffodils will be in full bloom. Cawdor. A magical name, romantically linked by Shakespeare with Macbeth. A superb fairy-tale Castle, and just what every visitor is looking for … Scottish history that you can touch and see and sense for yourself. 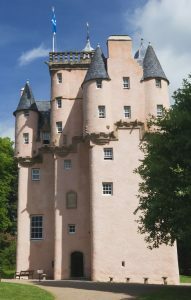 Cawdor Castle is not another cold monument, but a splendid house and the home of the Cawdor family to this day. 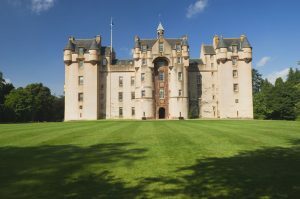 Along with the three gardens, the Cawdor Big Wood, and our own 9-hole golf course, we believe Cawdor Castle to be a truly extraordinary place. Effectively redundant from the time of the Reformation in 1560, this magnificent sandstone monument was little used during the next 100 years and was virtually abandoned thereafter. Gradually parts of the structure collapsed as a result of unchecked decay, and it was not until the early 19th century that Elgin Cathedral received the respect it deserved as a fine piece of medieval architecture. The first church was erected on this site in 1224, but possibly as a result of a fire, this was extensively re-built and enlarged towards the end of that century. Severely damaged by the ‘Wolf of Badenoch’ in 1390 when he burnt the cathedral, Elgin underwent a major period of reconstruction throughout the 15th and 16th centuries. Now standing as one of the most glorious ruins in Scotland it provides the visitor a fine view over Elgin from the top of its towers. Fort George sits behind its massive grass-topped artillery defences on an isolated spit of land jutting west into the Moray Firth at Ardersier, about 25 miles west of Elgin. Conceived after the 1745 uprising and the defeat of Bonnie Prince Charlie at nearby Culloden that concluded it, Fort George was intended to be a once and for all solution to the threat posed by the Highlands, and the Jacobites in particular. Yet during the twenty years it had taken to build Fort George, the 500 year old problem that had led to its construction had simply disappeared. However Fort George continues in use and is still operational as an army barracks today. Perhaps the most remarkable aspect of Fort George today is just how little it has changed since its completion in 1769. And given this, perhaps the most impressive aspect of the Fort is just how modern it seems as you walk around. The castle, as it stands now, took several hundred years to build. 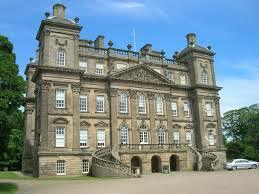 The first structures were built around 1240 by Earl Duncan. It’s name was The Peel of Strathbogie due to its location along major routes. 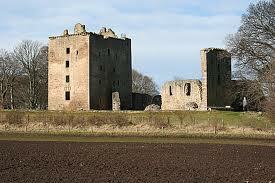 In 1314, King Robert granted title to the lands to Sir Adam Gordon of Huntly, causing the name change. The castle then became the seat of the Gordon clan. For five centuries, Spynie Palace was the residence of the Bishops of Moray, standing on the edge of Spynie Loch, a sea loch providing direct access and a safe anchorage. A magnificent Scottish Baronial fortress with it’s 800 year history! 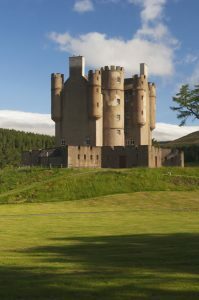 Braemar Castle. Visitors can hear all of the castle’s stories and history by taking a tour with a local volunteer or by taking an audio guide in either English, German or French. 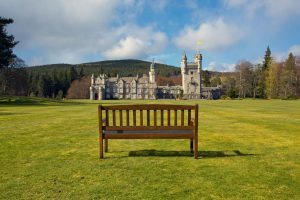 Balmoral Castle Purchased by Queen Victoria in 1848, the Estate has been the Scottish Home of the British Royal Family ever since.